A stone's throw from two National Forests and two National Parks – including the famous Yellowstone – there's no shortage of outdoor fun in West Yellowstone. But planning a trip there can be overwhelming, especially when all you have is a weekend. 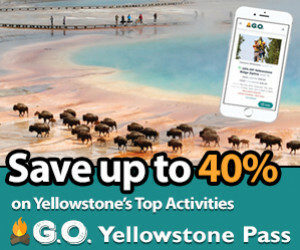 We'll assume you've saved Yellowstone National Park for a trip in itself –on this vacation, you'll stick to attractions outside the park. Follow this itinerary to hit the best of West Yellowstone - in just three days. With only one runway, flying into West Yellowstone isn't always the most convenient option, but it will get you closest to your destination – it's only two miles north of downtown. Coming from Jackson or Bozeman may be cheaper, but with so little time you'll want to make the most out of your drive. Instead of skirting the park on your way up from Jackson, drive right through Yellowstone on US-191 to hit major attractions on your first vacation day – Old Faithful is directly en route to West Yellowstone. Drive south to Harriman State Park, where you'll spend the morning exploring the park's 11,000-acres via horseback with an outfitter. On the Silver Lake Loop trail, you'll skirt the banks of pristine Silver Lake as your horse carries you over rolling hills. On the northwest end, keep an eye out for the elk and moose that frequent the area. After a morning on horseback, head over to Island Park where you can relax in your inner tube on a 5-mile float down the National Scenic Water Trail on Henry's Fork. Spend the afternoon spying wildlife and swimming with trout from your put in at the sign on Big Springs Road/Idaho Highway 84 to your take out at Mack's Inn. While you're close-by, stop at Big Springs, the natural spring and headwaters to the Henry's Fork and Snake Rivers, where you can stand on the bridge to feed the huge trout that swarm the 52-degree waters. Stroll the streets of West Yellowstone and be transported back to the Wild West. After your evening stroll, pick one of the many restaurants downtown to satisfy your Montana-sized appetite. Grab a slice at the Wild West Pizzeria and Saloon, try a classic burger at The Gusher Pizza and Sandwich Shoppe, or dig into a buffalo rib eye steak at the Timberline Café. Catch the action as real cowboys mount bucking broncos at the West Yellowstone Rodeo on Thursday, Friday, or Saturday nights. Call 406-560-6913 for dates and times. Once you've driven South to Harriman and Island Park, explore the surrounding wilderness areas West and North of West Yellowstone. Spend a day swimming, paddling, fishing, or boating on 15-mile-long Hebgen Lake just North of West Yellowstone. Waters are generally calm and chilly, but warm up enough to swim in by July. Hire a guide and set out for the Yellowstone, Gallatin, or Madison Rivers, where trout can be caught by the dozens. Find Montana fishing permits at a local sporting goods store or one of the Montana Fish Wildlife and Parks regional offices for $25. Get a trail map and a rent a mountain bike from a local provider, then hit singletrack in any of the surrounding wilderness areas. Warm up on the Rendezvous Ski Trails - 20 miles of gentle trails just outside of West Yellowstone. There are tons of hikes in the national parks and forests that surround West Yellowstone, so choose wisely. Try the 10-mile round trip to Coffin lakes – start at the Watkins Creek trailhead and end at two beautiful alpine lakes on the continental divide. As plentiful as these animals are, there's no guarantee you'll catch a glimpse of grizzlies or wolves on a visit to Yellowstone National Park. Hedge your bets and take a trip to the Discovery Center - the grizzlies and wolves there can no longer live in the wild, which gives you a chance to see them up-close. Take your second night to venture up US-191 for one of the Montana lodges and restaurants just North of West Yellowstone. There, you'll escape throngs of tourists and get a taste of a more local scene – and food. Buck's T-4, the 320 Ranch, and the Rainbow Lodge are among the classic choices where you can sample local wild game or river trout and finish the evening with huckleberry ice cream. You'll enjoy dinner so much you might even want to book a room at the lodge for your last night in town. For Bar-B-Q, try the Half Moon Saloon and Restaurant, a local favorite near Big Sky, for a pulled pork sandwich and sweet potato fries. Fly out of Bozeman and explore Gallatin Canyon on your way out of town. 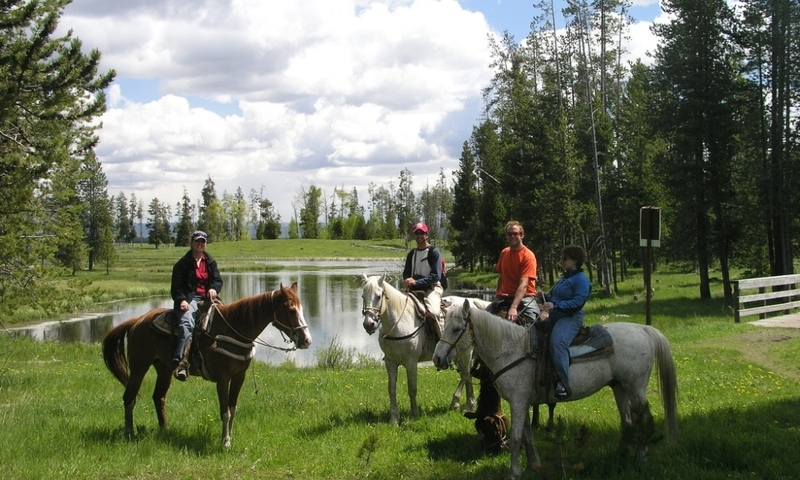 50 miles North of West Yellowstone, stop in Big Sky for a hike to Beehive Basin or a ride on Big Sky Resort's zipline. Spend your last morning on the river fishing, white water rafting, or hanging by the banks of this Blue Ribbon trout stream. Pull off at the green bridge just North of Big Sky and join locals as they jump 25 feet into the cool water on a hot summer day. For your final food fix, pull over at the Castle Rock Inn Café on US-191 for a down-home Montana meal, or stop at one of the many great restaurants on Main Street in downtown Bozeman for lunch. Ted's Montana Grill serves the perfect bison meatloaf and the Montana Ale Works pours your choice of beer from nine Montana microbreweries.